1- Chabahar Bay: Chabahar Port (Persian: بندر چابهار‎‎) is a seaport in Chabahar located in southeastern Iran, on the Gulf of Oman. 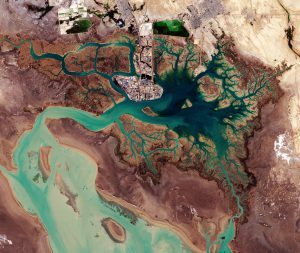 It serves as Iran’s only oceanic port, and consists of two separate ports named Shahid Kalantari and Shahid Beheshti, each of which have five berths. 2- Musa Bay: Iran’s Musa Bay on the northern end of the Persian Gulf, shows the port city of Bandar Imam Khomeini, situated at the terminus of the Trans-Iranian Railway: a route that links the Persian Gulf with Iran’s capital, Tehran. 3- Gwadar Bay: Gwadar Bay is located in the Gulf of Oman on the maritime border of Pakistan and Iran. 4- Gorgan Bay: Gorgan Bay is a semi-enclosed basin located in the southeast of the Caspian Sea in Iran and is an important marine habitat for fish and seabirds. How you can buy “Sohan” in Austria? Is there any Oberoi Hotel in Isfahan?